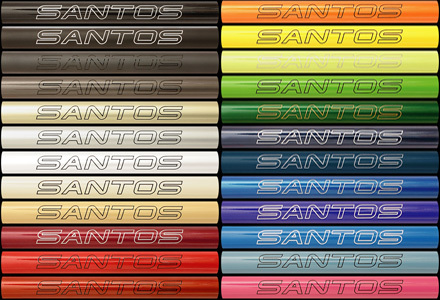 When we first contacted Robbert Rutgrink from Santos (www.santosbikes.com), we had not much idea about his background. 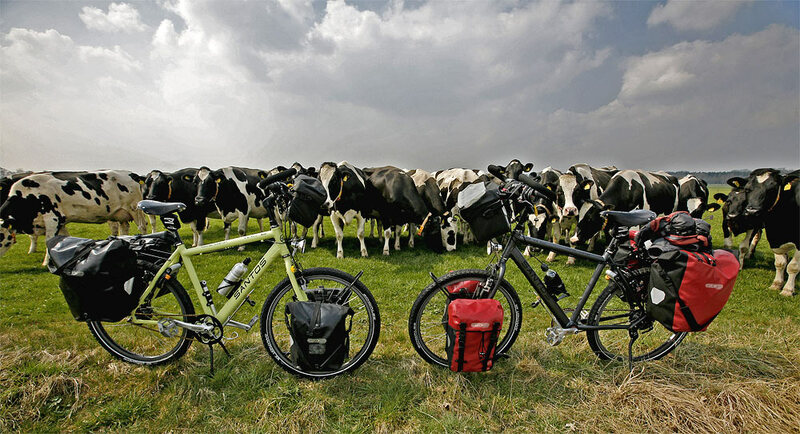 We only knew that Santos bikes were loved and praised by many Dutch and international biketravellers. He is a simply a bike lover and his passion is to design and build the best bikes available. He supplies mountainbikes to the police, builds all kinds of racing, road and city bikes, tandembikes and most importantly: travel bikes. Though his sponsor budget was exhausted and he had no plans for supplying any new bikes, he became enthusiastic and in the end supplied us with the best bike a traveler can wish for: the Santos Travelmaster. The Santos Travelmaster series has won several European contests for best travel bike. They are strong, functional and beautiful, a practical work of art. They come in two materials (Aluminium and CroMo /steel) and in two basic versions: with 26” weels (mountainbike size) and 28” wheels (citybike size). But those are only the basic configurations, using the online configuration tool on www.santosbikes.com, you can create your own perfect bike, including important aspects like gears and frame size, but also smaller details like handlebars, pump and stand. You can even choose from 24 different frame colours, to personalize your bike completely. While using, you can see the results in price and weight for every component and total. So here they are: Kowalski & Greeny! I am currently testing it on our ride from Alaska to Argentina. The bike is great, no problems whatsoever. My girlfriend, riding the same bike, and me were in a big Vancouver bikeshop after finishing the first 5000km, including about 800-1000km unpaved (Dalton Highway, Denali Highway and Cassiar Highway). ‘What do we need for our bikes?’ we asked eachother, looking hungry at all the nice gear and tools. In the end we realized we have to change the oil (recommended after 5000km) and as we already had the spare Rohloff oil with us, we bought nothing. Right now James Bowthorpe will try to beat the record on his round-the-world bicycle trip. He is using a Santo Travelmaster with Beltdrive. See the article on BikeTravellers.com for more background. Now we are talking with our gear sponsors to see what they can arrange. It is great to see the faith they have in us and our trip and the wonderful support they are giving. Soon we will talk about them some more and we will set up the special sponsor pages. For now we are enjoying testing out our new Santos bikes. Wonderful machines. Mine will be called Kowalski, but Ivana’s green yak still needs a name, any suggestions? More later, now we are packing for a short Istanbul trip, when we are coming back in a few days, we are supposed to either see a lot better or see nothing at all. Laser surgery, here we come!